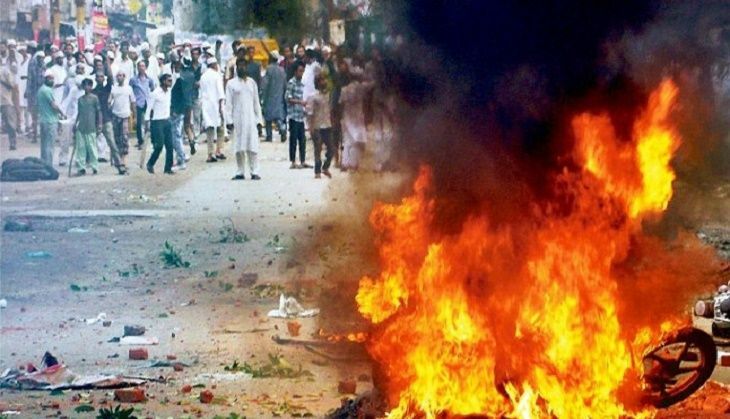 Punjab's Malerkotla town remained tense for a second day on 26 June, following violence over the alleged desecration of the Holy Quran. According to PTI, an angry mob of over 300 people burnt vehicles and damaged property after torn pages of the Quran were reportedly found near a cemetery. Eight people, including Malerkotla SP Jaswinder Singh, DSP Randhir Singh and Ahmedgarh station house officer (SHO) inspector Roshan Lal, were injured when a mob clashed with the police on the night of 25 June, the Hindustan Times reported. A mob reportedly attacked the residence of Shiromani Akali Dal (SAD) leader and chief parliamentary secretary Farzana Nissara Khatoon. The mob reportedly set a dozen vehicles ablaze, including four luxury vehicles belonging to the SAD leader and her husband Mohammed Izhar Alam - a former DGP. Following the sacrilege incident, Congress' Captain Amarinder Singh alleged that the mob went on a rampage only after the Alam's security personnel opened fire at the crowd. The protesters, who numbered around 300-400, reportedly engaged in stone pelting, torched vehicles as well as room meant for security men outside the MLA's house. Three cases have been registered against 312 persons for hurting religious sentiments, damaging property and attacking police personnel.